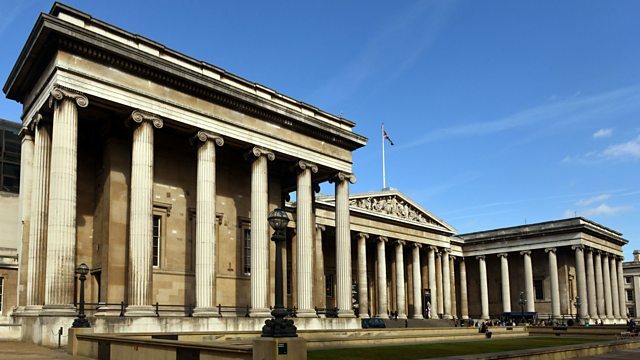 BBC Radio 4 - Start the Week, Who Owns Culture? Tom Sutcliffe discusses who owns culture, with writer Tiffany Jenkins, Zimbabwean novelist Tendai Huchu, museum director Ellen McAdam and art critic Waldemar Januszczak. On Start the Week Tom Sutcliffe discusses who owns culture. The writer Tiffany Jenkins tells the story of how western museums have come to acquire treasures from around the world, but dismisses the idea of righting the wrongs of the past by returning artefacts. The Zimbabwean writer Tendai Huchu believes the west shouldn't underestimate the impact of colonisation on cultural identity. Ellen McAdam, Director of Birmingham Museums Trust, discusses the pressures regional museums are under. While the art critic Waldemar Januszczak eschews traditional views of Renaissance art, arguing that far from a classical Italian form, its roots are in the 'barbarian' lands of Flanders and Germany. Tiffany Jenkins is an author, academic, broadcaster and columnist. Keeping Their Marbles: How the Treasures of the Past Ended Up in Museums … and Why They Should Stay There is published by Oxford University Press. Tendai Huchu is a novelist. Tendai will be appearing at the Bare Lit Festival on 27 February discussing ‘(Re)writing Pasts & Futures’. Ellen McAdam is Director of the Birmingham Museums Trust. Waldemar Januszczak is an art critic and a film maker of television arts documentaries. The Renaissance Unchained starts on Monday 15 February at 9.00pm on BBC Four.